Decay, injury, inflammation—your teeth can experience problems such as these even if you practice regular and thorough dental health care. Cavities, broken teeth, and even missing teeth can be the result. When you need restorative dental care, we can deliver, offering an array of restorative procedures designed to fix the smallest cavity all the way to a full-mouth reconstruction. 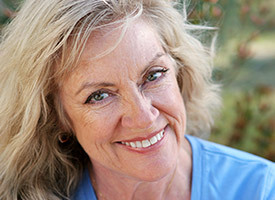 Why Choose Robison Dental Group for Restorative Dentistry? The teeth, unlike other areas of your body, can’t heal themselves, meaning that minor dental issues will only get worse as time goes on if they’re left untreated. This will lead to more pain and more dysfunction, and eventually, a tooth will either fall out or need to be removed. Fortunately, pretty much any dental problem can be completely repaired with the services we have here at Robison Dental Group, giving patients a beautiful smile and one less thing to worry about. If you’ve suffered dental damage as a result of decay or dental injury, fillings and crowns can stop the progression of the problem and restore your oral health. Our office uses composite fillings, providing a more aesthetically-pleasing and mercury-free option for filling your cavities. We also offer all-porcelain crowns to cover extensive decay, broken teeth, and teeth after root canals. 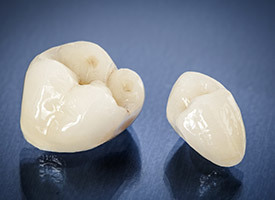 A dental crown is designed to literally fit over the top of a damaged tooth (hence the name) to protect the remaining natural structure and restore its original shape, size, color, and function. With one, Dr. Robison can fix a large cavity, repair chips and cracks, and even improve the appearance of an oddly-shaped tooth. He personally designs each patient’s crown so it will look natural and blend seamlessly with the rest of their smile. 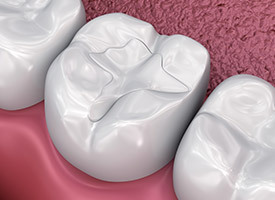 Instead of dark gray amalgam like traditional fillings, tooth-colored fillings are made of a composite resin material that can be shaded to perfectly match natural dental structure. 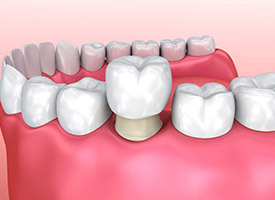 This means we can preserve the appearance of a tooth while restoring it, plus, the resin enables us to place smaller and more conservative fillings as well. This allows us to remove less of a tooth, meaning both the tooth and filling will be stronger as a result. Do you have multiple cavities, cracked teeth, or gaps in your smile? Think it’s simply too late for your smile? Thanks to his advanced training, Dr. Robison is able to handle even the most complex dental cases with relative ease. 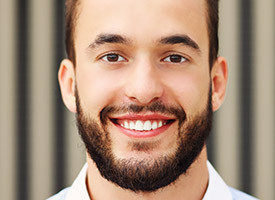 With a full-mouth reconstruction, he’ll put together a plan specially-designed just for you that combines multiple treatments to restore health, beauty, and function to your teeth at the same time. In the past, if a patient wanted to have a tooth repaired with a dental crown, they needed to attend at least two appointments at their dentist’s office. Because we know that patients are busier than ever these days, we’ve invested in technology that enables us to create high-quality, custom-made crowns in just one quick visit. Using a no-contact scan of your tooth and advanced computer-aided design/manufacturing technology, we can now repair your smile in record time so you can get back to your life as fast as possible.